Once the Dempster’s bread making factory, the Argyle lofts offer an authentic residential loft conversion in an intimate sized building in the Queen West neighbourhood. The 86 units were converted into Loft living in 2007 and many of the units feature open concept 2 storey spaces. The developer of the Argyle Lofts kept the integrity of the original structure and incorporated authentic hard loft details into the renovation such as exposed beams and pipes and open concept living. Be lucky enough to snag a main floor unit and enjoy a private walkout. This building is designated as a Heritage building. 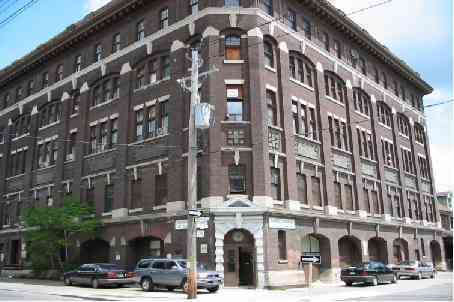 If you are interested in buying or selling a loft at the Argyle Lofts, contact me.